In this day and age, here’s what many consumers believe proves your business exists: Having a website. If you have that in place—good for you. But don’t stop there. There’s one more step you need to take to make that website a worthwhile investment. Have you optimized it yet? It’s called SEO (Search Engine Optimization) and it’s a priority for large companies and expert bloggers for a reason: This is how you get noticed. The process of SEO helps you get it right. During SEO you audit and edit your website (according to the tactics we’ll discuss below) so it ranks high on search engine lists or SERPs (Search Engine Results Pages). This rating is based on how you perform in terms of guidelines the search engines create. Guidelines often relate to aspects consumers prefer, so it’s not only about impressing an algorithm but real human beings too. Here’s the first important fact: You don’t want all these tactics associated with your website. Below we’ll show you exactly which ones to pursue. Let’s help you become a pro. There are many ways to get your website to that lucrative position of the first page on SERPs. However, some of them are frowned upon and could ruin your plans if you’re caught out. In order to understand how these groups get created, understand that search engines (Google, Bing and more) are the organizers of the online world. They make rules and if you don’t abide they reserve the right to ban your website or penalize it. Are these guidelines necessary? Absolutely. Imagine any business. In order to keep clients satisfied the business owner must provide products of the highest quality and excellent service. What classifies as ‘products’ for search engines? Websites. Their aim is to give browsers the websites that meet their expectations. To ensure this they need to filter out low-quality websites. If you want to be part of the group that remains on the list, your website must be optimized. Hence the guidelines and rules the search engines create. Now let’s look at the different approaches. This method is all about playing by the rules. When you improve your website you make sure each change falls within the expectations and policies of search engines. Your search performance improves, without you manipulating the system. If this is your goal, learn to use these methods. Throughout this article, we’ll talk a lot about keyword usage. In short, you won’t rank high if you’re not using the keywords your audience uses to talk about your business. Google will roam the online universe to find websites that use the keywords consumers type into their search bars. How will they find you if you don’t use them in your content? This process calls for expert keyword research, which is why having a pro on your side is worth the investment. Does it spark to activate audience engagement? 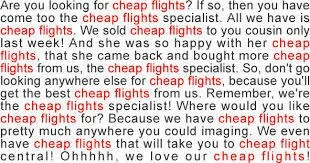 Do you use good grammar, punctuation, and layouts? Is your content relevant to the topic or are you simply using keywords to attract an audience to sell products to? Based on this, your content gets rated. Why all this background information? When you understand how algorithms ‘think’ and rate your site, it becomes easier to use the correct methods to optimize. These methods ensure you build up credibility over time and when you reach the top chances are you’ll stay there for a long time. In contrast to the tactics above, website owners often resort to Black Hat methods when they want a quick fix. If you want your search engine ranking to help you boost your bottom line, you may feel justified in using them. In short, Black Hat tactics manipulate the system, fooling algorithms into perceiving the site as valuable and relevant. Stuffing: Using many keywords in your content, some of them completely out of context. This leads to low-quality writing, of no real value to consumers. Irrelevant use: Perhaps you know a certain niche will respond to your products. Using keywords this niche often uses (but that are not related to your products or services) will attract them. However, once they get there they won’t find what they’re really looking for. Your content may be linked and backlinked to many high authority pages. Initially, this will look impressive and lead to high rankings. However, Google’s ideal is that web pages will only be linked with ones they relate to. This helps users navigate between relevant pages. Therefore search engines disapprove of irrelevant linking. You can make your website look any way you want it to. Visitors will see what it looks like, but search engine algorithms work differently. 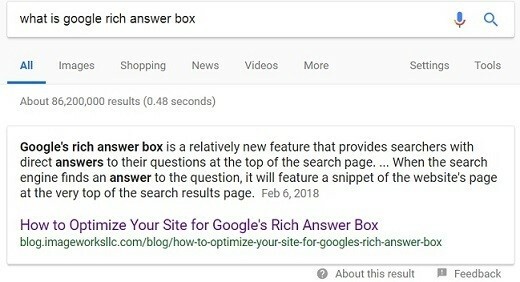 Therefore you can add words (such as keywords) to your text to attract Google’s attention so you get ranked for a certain niche. Now make them invisible to visitors and your other content (the sales information you really want to show to the world) gets shared with a whole new audience. A website can be designed to redirect a visitor, whether that’s what the visitor wants or not. Here’s a practical example: Website owners can use keyword stuffing to get noticed, draw visitors and then use redirecting to guide visitors to sites where they sell their products. As it’s misleading, search engines frown upon this marketing tactic. Yes, you’ll move up the rankings because you’re doing some of what search engines want. The risk: It’s possible to identify that someone is using these tools, especially if you don’t stay informed on search engines’ updates. When that happens you’ll quickly lose your high ranking and even be banned. Remember, you can’t erase the reputation you created. As the name suggests, this is a gray area. This is definitely not White Hat tactics, but it’s not outright wrong to do. Some may frown upon it as it usually doesn’t provide consumers with the best content around. However, you’ll get traction, which forces search engines to consider you as a popular, quality source. An excellent example is Clickbait. Another example is copying content from other websites or using the same content on various websites you own. You’re not necessarily doing anything wrong, but your methods aren’t in the interest of consumers; If they visit more than one of your sites they won’t find any new information that could help them. Even here keywords play a role. It may not be wrong to use a lot of keywords, but it often leads to low-quality content. It could be difficult to discern when something becomes gray, rather than white. However, in many cases, you only have to ask: Are you doing it to benefit your visitor or to gain an advantage in the market? If it’s the latter, chances are it’s gray. We Only Focus on White Hat SEO—Why is That? It’s obvious from these descriptions that you’ll face many risks if you pick Gray or Black Hat SEO. Do White Hat tactics take longer to get you to the top? Sometimes, yes. But is it worth taking a risk to get instant gratification? There are long term benefits to knowing you don’t risk being penalized and ruining your online reputation—That’s the reason we stick to strict guidelines. Are you frantically browsing your website now, concerned that some of your tactics can be viewed as Black Hat SEO? Is that the reason you’re not performing as well as you would like to? Let’s help you regain control of the situation. For starters, you need some background information because SEO isn’t only about what’s on your pages. Factors elsewhere also affect your rating. An in-depth discussion on SEO can be found here, but we’ll discuss the two types below. Jump to the information you need most if need be, but remember everything is important. On-page SEO & Off-page SEO—Why Do Both? Fixing everything on your page isn’t enough. How will anyone know there’s something worth reading if you don’t create a trail to lead them inside? That’s the value of auditing your SEO rating elsewhere too. The reverse is just as important; A website will quickly lose its rating when Google sees people don’t stay on your pages for long. It’s called bounce rate and if it’s high it translates into: You’re not giving consumers what they need. Are you using the right keywords for you niche, without stuffing your content? Do you provide quality writing with valuable information? Does your content provide answers to direct questions often typed into search bars? Do you use Meta and Title tags? Do you post new content regularly? Some experts say you should post 16 times a month. Do your pages load quickly so visitors don’t have to wait long? Do you make it easy for search engine crawlers to index your pages? Do you have a high bounce rate? Time to improve content quality. How old is your domain? You can’t change it but know it will seem more trustworthy each year. An alternative is buying an existing one. Do you have an online identity? Can you get more backlinks through guest posting? Did you tailor your content for your region and its dialect? Perhaps it’s time for a multilingual site if you want to cater to more groups. How often do people share your pages? Launching a campaign can help. A hard truth: You’ll never know exactly what search engines expect of you. Google and other entities never provide guidelines of how exactly they rate pages; This would give fraudsters more resources to manipulate the system. But, with the White Hat methods mentioned above, you have an excellent chance of reaching the top and STAYING there. And for this long term success it’s best we all adhere to the rules. Do you want to get started on optimizing your site and enjoying the benefits of reaching a larger audience? Our Singapore SEO expert can help you with that.